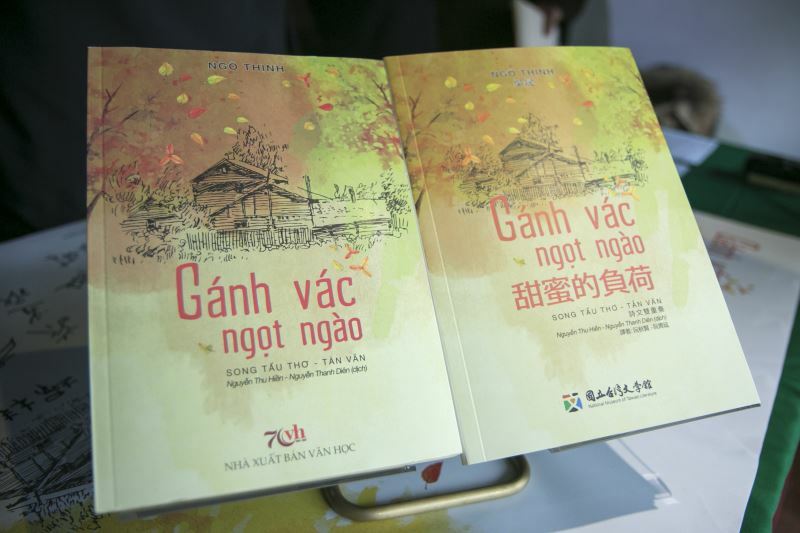 Sponsored by the MOC in line with the New Southbound Policy, “Bearing the Sweet Burden” was compiled and released in Vietnam last September by the National Museum of Taiwan Literature. Also available in a Chinese-Vietnamese edition, the anthology comprises translations of 30 works of poetry and prose by Wu, including his most famed piece “Burden” about the love of a father for his children. MOC Minister Cheng Li-chiun said that the collection conveys Wu’s deep affection for Taiwan’s rural areas and reflections on people’s relationship with the nature. The government is committed to bolstering international awareness of the nation’s rich literary culture, as evidenced by the 250 percent increase in the budget for MOC and NMTL translations this year to NT$40 million (US$1.29 million), she added. The museum said that Wu’s poetry was selected for translation into Vietnamese as it spotlights the challenges posed to farming communities by rapid development, an issue of discussion in the emerging Southeast Asian economy. According to NMTL, the collection has already been included in the curriculum of the Center for Chinese Studies at Hanoi-headquartered University of Social Sciences and Humanities. It is also hoped that the bilingual edition will provide enriching learning materials for the children of new immigrants from Vietnam, the museum said. Under an NSP program launched in 2017, NMTL based in the southern city of Tainan is tasked with promoting the publication of Taiwan literature in Southeast Asian languages. In addition to the collection of Wu’s work, it has unveiled a Chinese-Malay anthology featuring short stories by Taiwan and Malaysian authors, and translated two children’s books into Vietnamese.